Filbert discovered shortly after we arrived in Thailand that he cannot read the Thai language. He was glad that the numbers used to identify our room were familiar to him, so he found that — but for everything else, he had to rely on other means for figuring out what is what. One of the customs in Thailand that Filbert and I both enjoyed greatly is that of removing shoes and leaving them outside when you go inside. We did this when we went back to our room in the middle of the day or when we entered the meeting room. 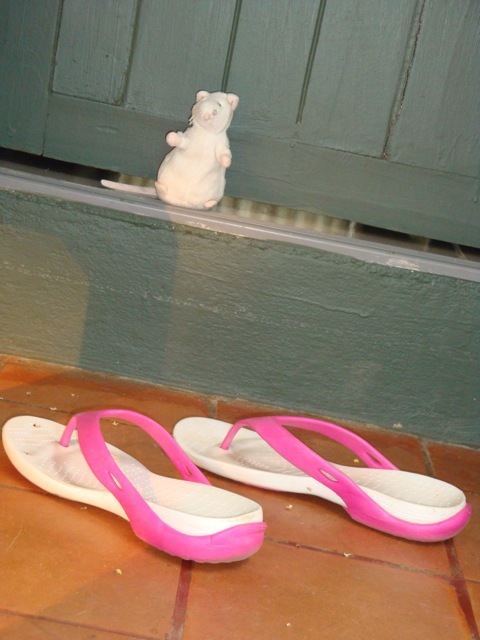 (A friend told us to take our shoes in at night rather than leave them outside because the dogs who lived on the resort property were known to consider unattended shoes as gifts. We thought that to be quite reasonable. After just a few trips, Filbert has realized that one common denominator for our travels is the water bottle. Some places that water is provided because it is preferable to drink bottled water over tap. 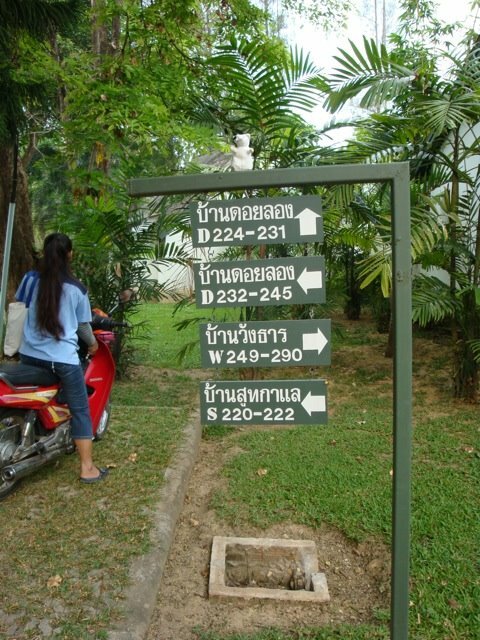 In Thailand it was more than just about preference. We ONLY drank bottled water or purified water. In fact, we only brushed our teeth with bottled water. That may be a little extreme, but it’s a small price to pay to avoid the annoying (at least) stomach ailments that can come from drinking unclean water. And, just as I enjoyed the gardens, so did Filbert. 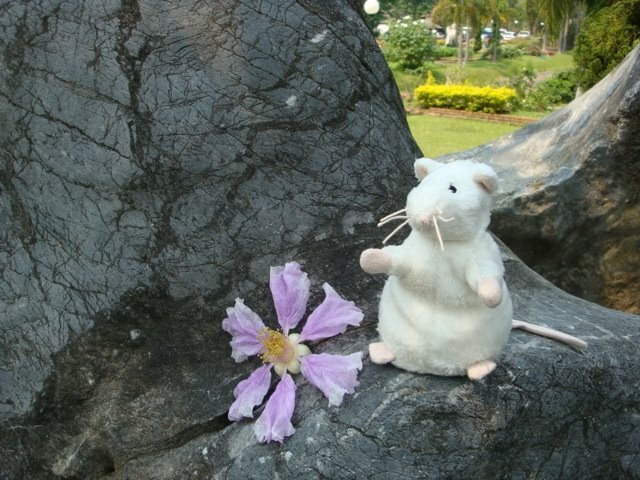 He was especially taken by the large rock formations scattered around the plantings — many of which had what felt like caves to this 5 inch tall rodent. Filbert grew on this trip? He was only 4 inches tall when you started!